As Costa Mesa Photographer I can say that this city is one of OC's coolest, hippest towns around. Having been one of the first cities to create an alternative mall called The Lab .The Camp opened up across the street from The Lab and now you have the Anaheim Packing District. All eclectic locations. We love the artistic and unique landscape and architecture. It's perfect for family portraits or senior portraits. 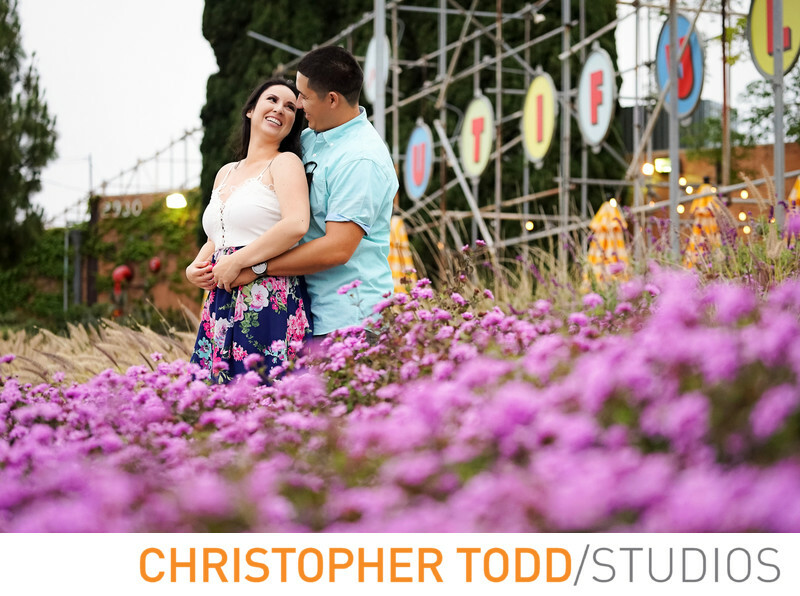 We also like to photograph engaged couples here for their session. The OC Mix is another great little spot for hanging out, grabbing a cup of coffee, and taking some photos. Costa Mesa is also ideal for professional headshots. Costa Mesa is 5 minutes from John Wayne Airport making this location convenient for out of town guests. South Coast Plaza offers first class shopping and entertainment. There are many choices for your rehearsal dinner around Costa Mesa. This all around city is a perfect location for weddings, corporate events or other special occasions. If you are in the area be sure to stop by our photography studio in Santa Ana less than ten minutes away. We would love to show you our sample wedding albums of past couples, the different types of wall art that we offer. You can also come in for some studio portraits. We can photograph you right in our studio for stunning engagement photos. We also do headshots, family portraits, and group portraits. If you just want to talk about wedding ideas come in relax have a glass of sparkling wine or a craft beer. We are by appointment only so please call or email us.